Introducing: The SMMU All Access Pass. 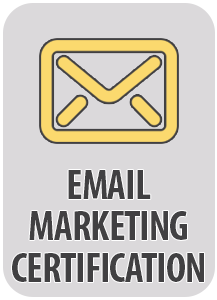 Claim Your Spot in the World’s Largest Social Media Certification and Training Community and Get: Fresh New Content Every Week, All 13 of Our Award-Winning Certification Programs, Over 240 Full-Length Training Videos, Direct Access to Our World-Class Faculty, Highly-Trained Coaches and Moderators and Much More… For Less Than You’d Pay Each Day for a Muffin and Coffee! And TODAY you can test-drive everything… FREE! 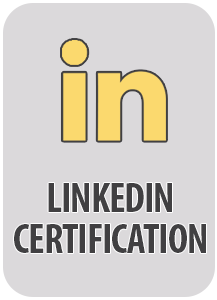 Since 2009, Social Media Marketing University has been considered the worldwide leader in Social Media Certification and Training and is currently the world’s largest social media certification community. No matter how good a course or book is, the author just can’t anticipate every question from every person. Plus everything changes so fast online and information can quickly become stale and irrelevant. Let’s face it, the changes in social media are coming nonstop. If you do not have an up-to-date, fully implemented, social media marketing strategy in place already, you’re not covering all your bases – like the dinosaurs you too will be extinct. I can guarantee you two things. If your competitors are using social media effectively, they already are growing, expanding, seeing benefits, and cashing in. They are grabbing your prospects and existing customers right out from under your nose. All because you haven’t embraced the change or you’re just not doing social media the right way. The second thing that I’m going to guarantee you is that some of you already get this. What I’m saying to you makes sense. You will be among those that use social media the right way to capitalize on the conversation, and to dominate the competition. And, more importantly, you know you can’t afford to waste your time, money or effort spinning your wheels with useless “silver bullets or secret strategies.” You don’t have time for the so-called solutions that every self-proclaimed social media expert is peddling. You want a roadmap, a blueprint, a powerful solution that takes you by the hand and shows you why and how to make social media work for you and not the other way around. And, that’s exactly what the Social Media All Access Pass is all about. actually making a real impact in social media? Imagine the time and frustration you’d save yourself by getting at the right answer the first time…and often within the same day. How fast could you start seeing progress with your business? How motivated would you be to keep building? You will be able to implement as you learn and start experiencing positive results immediately. The All Access Pass is proven to get you more leads, build your brand the absolute best way, get proven results and set you up for long-term success. Let me give you an overview right now. The deep hands-on training you need. Imagine finally being able to cut through all the clutter and actually make real progress with your business. Instead of merely jumping from one tactic to the next, imagine being on the “inside” with some of the brightest marketing minds on the planet. Imagine finally being a success-story and not just another . A systematic blueprint “regular” people have used to make massive impact online. No longer are you left to wander alone in the dark. No more struggling to “fill-in-the-blanks” by yourself. Instead you will be taught the right way to build a foundation for your business by real people who have used the “SMMU Way” to gain more leads, revenue and brand visibility than ever before. Finally, you will begin truly moving forward with your business faster than you ever dreamed possible. Get the WHOLE story with nothing held back. 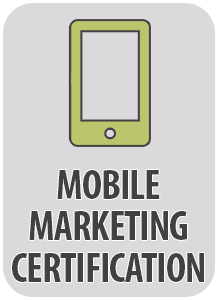 The days of sugar-coating social media certification and training are over as far as we’re concerned. It’s time people were told the truth… the good, the bad, and the ugly… about specifically how to get their social media presence up and running and profitable from the very start. real social media results for the first time. What is Included With Our All Access Pass? 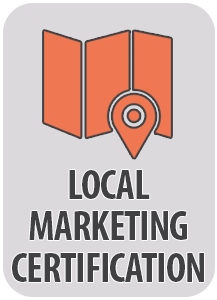 At the heart of the program are 13 interactive, hands-on, and results-based Social Media Marketing University Certifications. These are all of our award-winning courses. These are what experts around the world have hailed as “groundbreaking,” “revolutionary,” “must-have,” “can’t live without,” and “none better” and on and on. 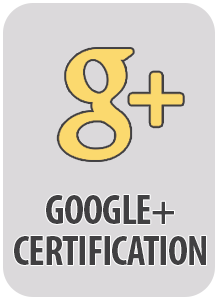 These are the same Certifications that have gotten us recognized as a top social media training firm, highlighted as the leader by Forbes, Fast Company, Mashable, Entrepreneur Magazine, USA Today, The Wall Street Journal, About.com and countless others. Each course has on average between three to eight modules containing 10-20 sessions per module. And each Certification is taught by the world’s foremost authorities on the topic. You’re getting real, actionable success strategies from today’s leading experts. No theory. No fluff. Plus, each Certification has also been designed around our very successful L2I (Listen, Learn and Implement) teaching system. We’ve made it as easy as possible for you to put what you’ve learned into action to start getting results immediately. Each of these courses covers absolutely everything – in an easy-to-understand and implement way. You’ll have 24/7 access to streaming High Definition video, downloadable mp3 audio recordings, and unabridged transcripts of each session. You’ll be able to watch, listen or read whenever you want. The value of these 13 courses alone is worth their weight in gold. But we didn’t stop there. Your “All Access Pass” also gets you unrestricted full access to our elite Social Media Inner Circle. in the Dynamic and Fast-Paced World of Social Media! The Social Media Inner Circle brings together the best of the best experts in each of FIVE key areas of Social Media. That means you can get the support and handholding you need to master ALL the skills needed to become successful from real experts. This is what the Social Media Inner Circle is designed to do. The 1st Monday of every month is “What’s Working Now”. On the 2nd Monday, we have our super popular “Hot Seat” session. Then on the 3rd Monday, we have “Open Office Hours”. Finally, On the 4th Monday our “Tools and Tips” session. Instant 25% Off Any SMMU Training Course or Event. That’s right – as soon as you join the Inner Circle, you’ll instantly be eligible to get 25% off any training course offered by SMMU. This is a priceless bonus that is only available to our inner circle members in good standing. Look, if you’re serious about growing your social media presence in a meaningful way you are going to be buying training anyway – doesn’t it just make sense to get the training at half off instead of paying full price? Every Inner Circle Coaching Call We Have Ever Done (50+ and counting). Our Students LOVE Our Training! You will too! Best of All You Can Get Started Today for FREE. It’s our 5 Year Anniversary here at Social Media Marketing University and nothing gets us more excited than seeing you experience positive results in your business based on the strategies we share in our training and courses. We want to make it as easy as possible for you to get started today and make it an absolute no-brainer to enroll in our All Access Pass. So, in celebration of our 5 Years and 125,000th student, when you act right now you will have access to all of the content in all of our 13 Certifications FREE for an entire week and we are certain that you will love what you see and hear in our online university. By accepting this All Access Pass offer, you become part of an exclusive group of Social Media Masters. Being connected in our All Access Pass program will get you results. It will help you build your brand, grow your customer base and increase your revenue. And, it will do it faster and more easily than you thought possible (especially if you’ve already been struggling for a while now). Plus, it will do all this, guaranteed. You heard correctly. You have my personal guarantee. I’m so confident you will love being in our All Access Pass club you get the first 7 days FREE, then if you are unhappy with your Inner Circle Membership for ANY reason at ANY time in the first 7 days, all you have to do is open a request before the end of the 7th day at http://SMMUHelp.com and you will never be charged a dime. Plus, you can keep any training or Certifications you have achieved in that timeframe. After the 7-Day trial, your enrollment fee is only $497 $297 per month. That’s 40% off our standard price of $497 a month (a savings of $200 per month) when you enroll today. Also, there are no long-term contracts or commitments and you can cancel at anytime. If for any reason you no longer want to keep your access active to the All Access Pass, just contact your student advocate by opening a cancel request at http://SMMUHelp.com before the 7th day and we will happily cancel your enrollment and there will be no charges ever. Look, it’s my passion and goal in life to make sure capable, smart and ambitious people like you get the social media training you deserve to grow your business faster than you ever thought possible. What my guarantee really means is that you don’t risk a single cent when you sign up today. You are 100% protected by my satisfaction guarantee. I did this so you can check out the entire system for yourself. After you see how filled it is with valuable information, help and support, I know you’ll be more than satisfied. MONTHLY Membership Yes! I’d like to enroll in All Access Pass as a monthly member for just $497 FREE today then $297 every 30 days as long as I remain a member. I understand that there are no long-term commitments and I can cancel anytime. 12 MONTH Annual Membership (Save 58%) Yes! I’d like to save 58% and get a full “1-Year Membership” to All Access Pass for a single payment of only $3564.00 $1497. I understand that I am receiving a massive 58% discount off the normal annual price today. Q. What is the normal price of the Certification courses? A. 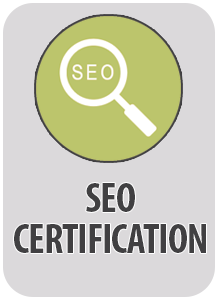 Our Certification courses sell every day for $497 each. 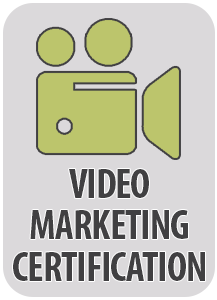 With the All Access Pass you get access to all 13 Certification Courses ($6,461 value) from Day 1, and you have the ability to get certified in one or all 13 of them as quickly or as slowly as you choose. Q. Do I really get instant access to all 13 Certifications for just $297/mo? A. Yes, you really do. Plus you get plugged into our weekly Inner Circle Coaching calls – The Only Training That’s Updated Every Single Week to Keep You 100% Up-to-Date on What’s Working NOW in Social Media. This Inner Circle training is normally $97/mo by itself, so for just a little more you are getting the weekly Inner Circle training plus all 13 of our award-winning Certification courses. Q. How do I access the Certification courses? A. All of our Certification courses are delivered online in a secure student area. Moments after you register you will receive all details including your login information – so you can begin immediately! And you will have access 24x7x365 from anywhere with an Internet connection. Q. 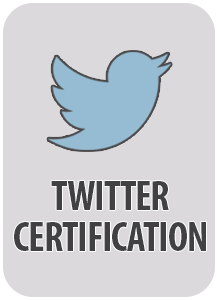 What if I want to become a full Certified Social Media Strategist®? A. 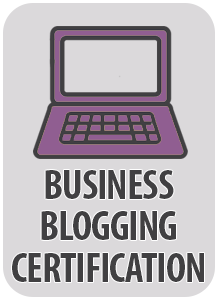 With your All Access Pass membership you can become certified in all 13 of our Certification courses. Just take a quiz at the end of each course and when you pass you get the certificate instantly. 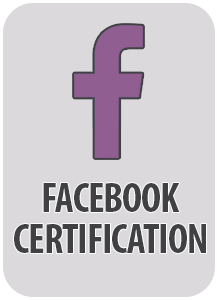 If you want to upgrade to a full Certified Social Media Strategist, just contact us after you pass your core courses and 2 electives (details here) and there is a small testing fee to upgrade to your full CSMS Certification. Q. Are there any long-term commitments or contracts? A. if you’re serious about your certification and training we don’t see why you would ever quit. But no, there are no contracts. Take the test drive and if it’s not for you just cancel before your first billing in 7 days. After billing begins you can cancel anytime but there are no refunds. Q. 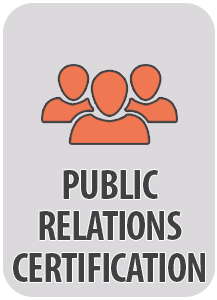 Do the Certifications expire? A. Social Media changes quickly, and if you’re serious about your training you will want to keep up with these changes just like in any other profession. Because of that, our Certifications expire one year after being issued. 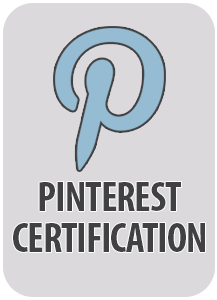 This protects us and helps ensure you are always up-to-date with the latest in social media and digital marketing knowledge. Q. What if all I want is access to the weekly Inner Circle coaching calls? A. Just click here to register. Q. What if I need help or have questions not answered here? A. Just visit our Student Help Center and our team of Student Advocates will be happy to answer any questions you may have. Or click the purple chat button at the bottom right of the screen to chat with us live during normal business hours.